I'm not sure where it came from but it's 37.6MB free of 449MB (basically almost full). I would just ignore it but my pc keeps giving me these pop-up notifications telling me that it's almost full and it't annoying. What should i do with this random drive? That's almost certainly one of the System partitions. Open Disk Management, and remove just the drive letter. Do NOT remove the actual partition. It Doesn't give me the option to change anything with the drive. When i right click all i get is the "help" option. In the bottom section, Right click on that partition gives you no options? I have this exact issue. the annoying popup can be turned off via notification settings. 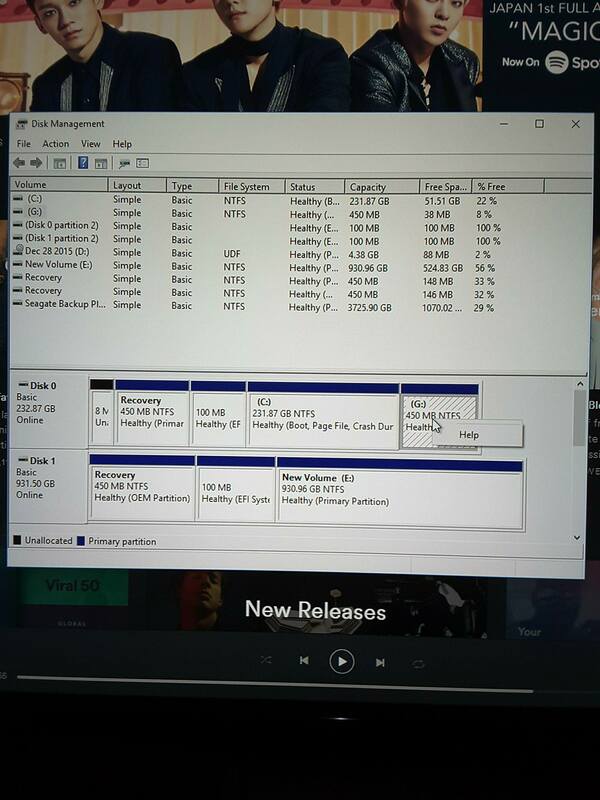 Im worried this new local drive will cause issues int he future or if it gets full. What the hell is it? If Disk Management does not give the option to remove that drive letter, use a 3rd party tool. What will removing the drive letter do? I can change the name of the drive via file explorer, right-clicking the drive, rename.... Im scared of doing this. Right now everything works just as before and the annoying popup warning of disk space can be turned off via notifications. The space on the new local drive never changes either thankfully. It is a System Partition. My Disk 0 (C drive) has one too. Almost everyones does. That partition was there last week, last year. It just didn't have a drive letter. The partition needs to be there. It does not need a drive letter. The only reason you're getting the notifications is because File Explorer sees it as a "drive letter", and it is mostly full. Remove the drive letter, and all is well with the world. Thanks for explaining. Im nervous if i do that something will mess up my pc lol. Could i just leave it as it is? If you want to live with that red bar and the alerts, sure...leave it as is. Removing that drive letter will not mess up anything. The Disk Management doesn't let you change drive letters of system partions. In that program type in list vol; not the volume number for the volume with the letter you want to get rid of (it'll probably be 0 or 1). type in sel vol # where # is the number you noted. type in remove letter=[letter] where [letter] is the drive letter of the reserved volume. 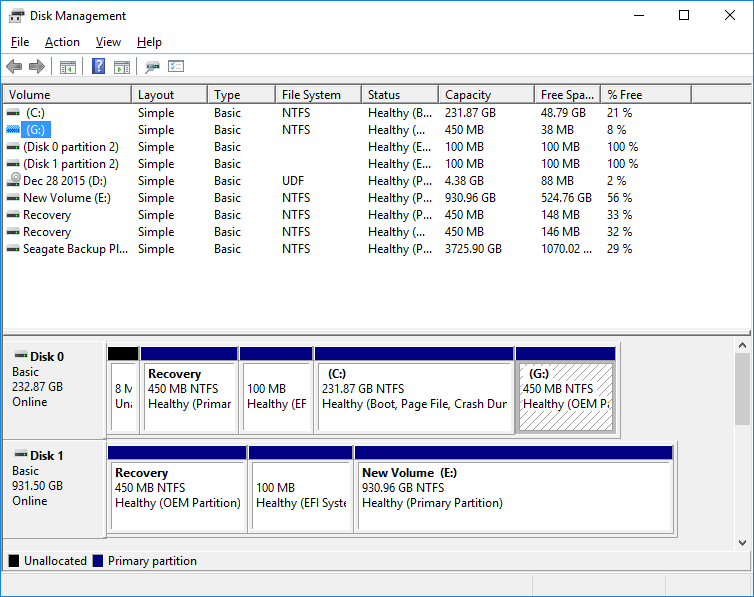 This solution fixed it for me, I wasn't sure what this partition wizard was at all but it was still easy to install and remove the letter within a few minutes; now no more extra drive and no more notification spam! After updating to crimson and adrenalin from catalyst, exclamations appear on device manager.